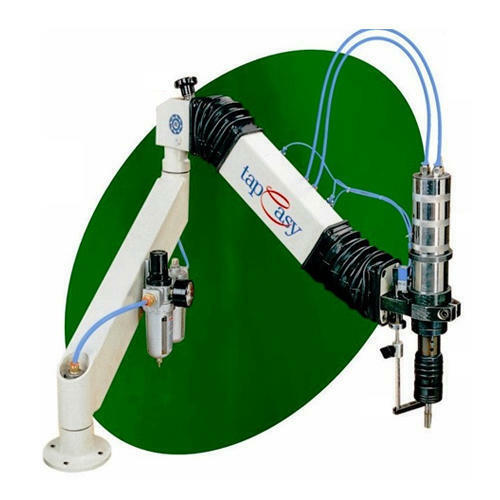 "TapEasy" is a unique Tapping Machine with an Articulated arm/Flexi Arm Pneumatic/Electric/Hydraulic Tapping Machine. This unique feature helps in tapping a hole anywhere within the prescribed area. This machine is having a range to tap holes up to 3/4" or M 20 in Steel/Cast Iron and and M 22 in Aluminium. "TapEasy" controls of a specially designed arm carrying pneumatic reversible motor which will tap through holes as well as blind holes. Assisted by the untiring and dedicated team of professionals, we are engaged in manufacturing and exporting Semi Automatic Tapping Machine. All the machines are manufactured under the guidance of our engineers. These machines provide high operational fluency and long-lasting performance due to their precise dimensions. On the request of our valued customers, we offer them the range of custom options and specifications. 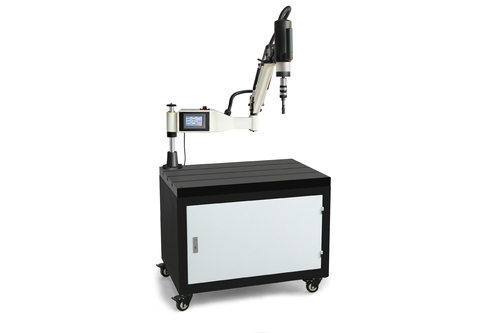 Additionally, Articulated Arm Tapping Machine is available to our clients at industry leading prices. Tap Easy Pneumatic Tapping Machine presented by us is fabricated using high-quality raw material that is strictly tested by our proficient experts. These Automatic Pneumatic Tapping Machine, CMA Pneumatic Tapping Machine is capable of executing the accurately tapped holes along with precise parameters which range from 4H and 6H tolerance. We value our client’s time and ensure timely delivery of the predetermined time slot. We are dealing into Arm Type Tapping Machine are designed with the use of best quality materials. Our products are appreciated for their features like longer life, easy to use, sturdy designs, high strength, high functionality, and crack free nature. 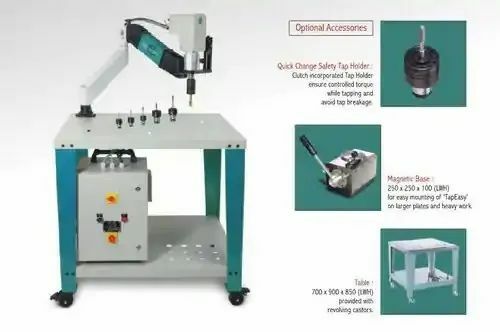 Looking for “TapEasy Tapping Machine”?